Time really flies! It's the end of the year now, and there are only a couple of weeks left for 2010! I was happy that I could get the opportunity to be able to teach some cooking classes this year. I still need to learn and improve more and I'd love to continue to challenge next year too. 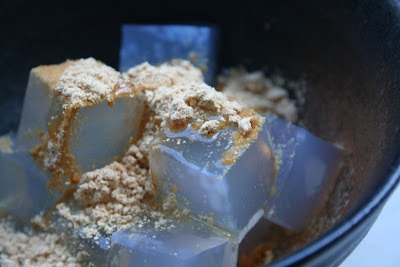 Lately, my favorite OYATSU (おやつ) is Kanten jelly with KINAKO powder and maple syrup or honey. 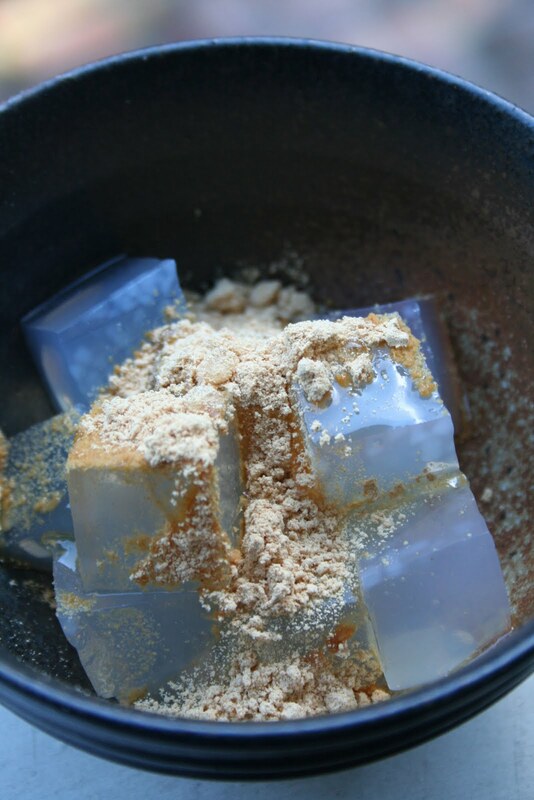 KINAKO (黄粉) is a Japanese soy flour. It is very yellowish flour, but it gets brownish color once it gets wet. I have once bought soy flour in the market, I meant to buy KINAKO, but that was totally different. KINAKO is flour of roasted Japanese soy beans. You should try once, the smell is SO different, it has very roastie flavor. KINAKO also have a great nutrient, Fiber. I have no idea how many people have read my blog this year, but Thank You So Much for reading, and I hope you have a happy and delicious holiday season!